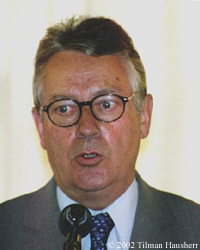 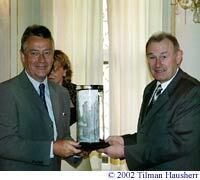 Minister of Interior of Bavaria Dr. Gunther Beckstein gives the Laudation at the 2002 Leipzig Awards. 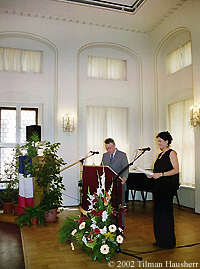 Former President of the Mission Interministerielle pour la Lutte contre les Sectes for the Prime Minister of the Republic of France (MILS), Alain Vivien with his interpreter, giving his acceptance speech. 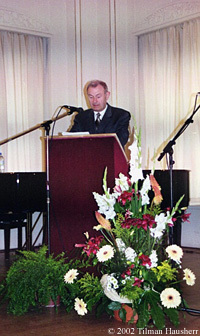 Dr. Beckstein presenting the Leipzig Award.